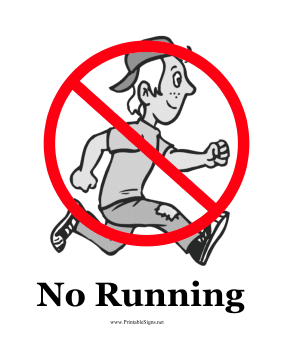 This printable sign shows a child running when he should be walking. Kids who see this will know that there is no running in the area. This sign can be displayed in hallways, bathrooms, classrooms, schools, pool areas, and anywhere that people should know to walk, not run.